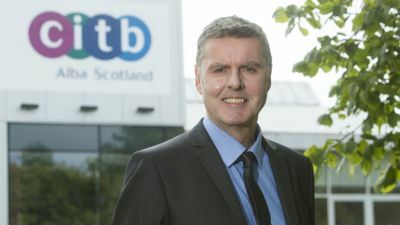 THE biggest names in the UK plant industry will shortly be making tracks for Tarmac’s quarry near Buxton when Hillhead 2018 gets underway. 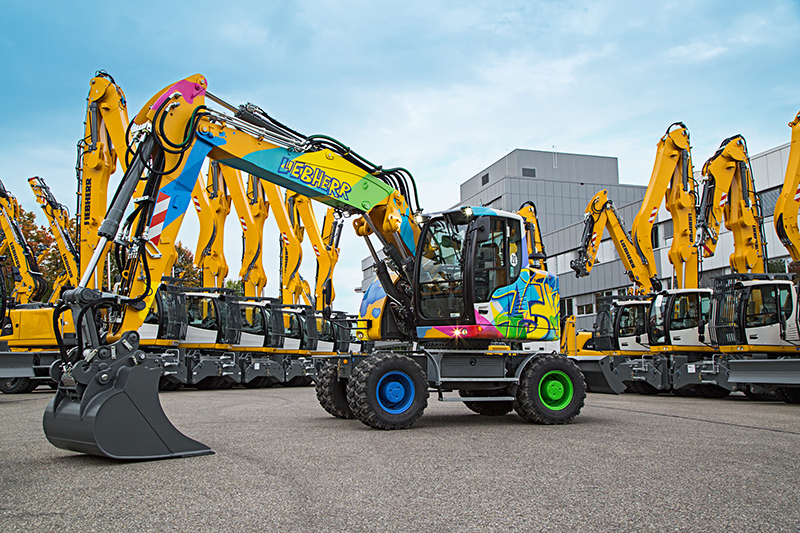 The exhibition, which runs from June 26-28, will welcome hundreds of suppliers, including many of the world’s top construction machinery brands. Here, we provide a sneak preview of what to expect. JCB will be showing off its new X Series 20-tonne tracked excavator model – the culmination of a four-year development period. The manufacturer said the 220X crawler machine features a 15% larger cab with integral ROPS structure, reduced noise levels, simple user interface and stronger side doors. 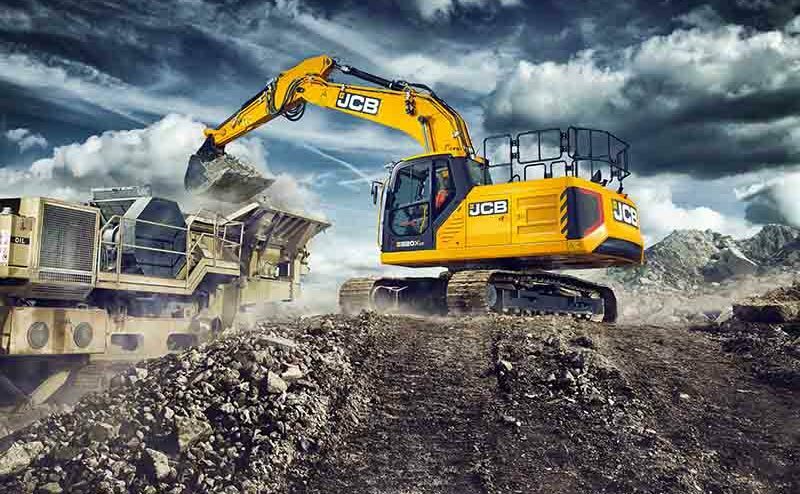 Several variants of the machine will be shown across the JCB stand and demonstration area, including models with demolition specification, full Topcon functionality and Steelwrist-fitted. The JCB Hillhead line-up will also include the 7T-1 Front Tip Hi-Viz site dumper, Hydradig 110W, Pilingmaster backhoe loader and models from the tracked excavator, wheeled excavator, wheeled loading shovel, site dumper, backhoe loader, generator, Loadall telehandler and compact equipment ranges. 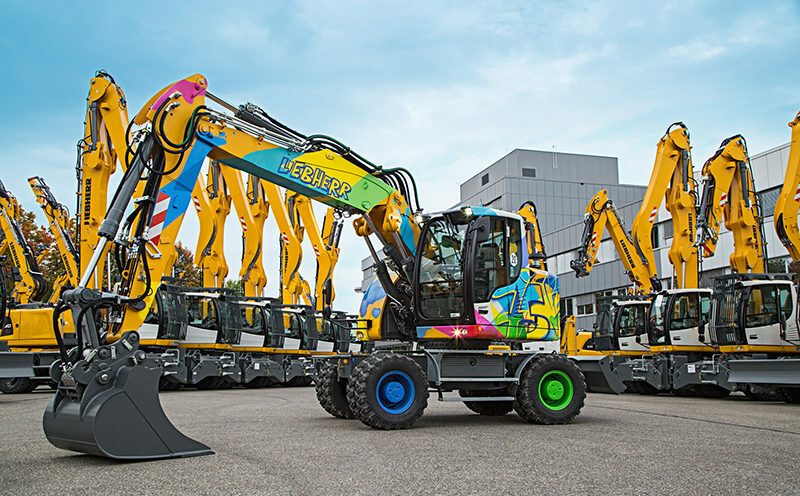 MAKING a special appearance on the Liebherr stand will be the 75,000th wheeled excavator to come off the production line in Kirchdorf, Germany (pictured above). This A 918 compact has been painted by renowned graffiti artist, Claudia Walde, aka MadC. 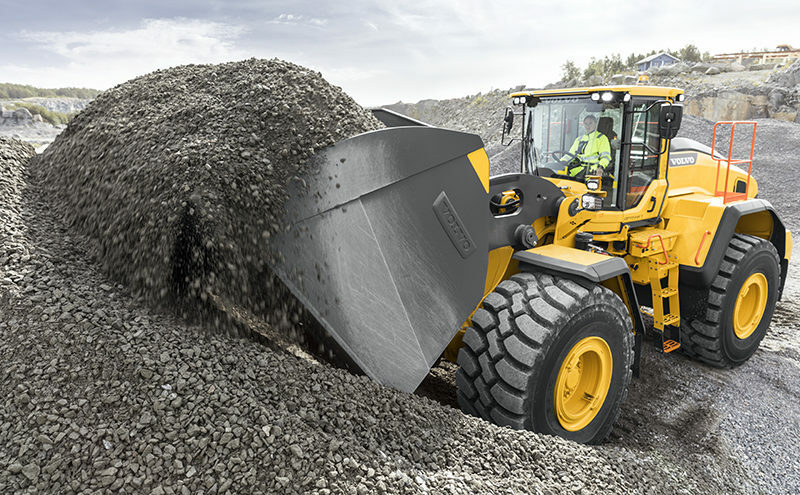 Liebherr will also showcase its XPower wheel loaders, dozers and crawler excavators with the latest truck mixer and mobile pump technology from the manufacturer’s concrete division and an R 956 excavator and L 576 XPower wheel loader working at the quarry face. A bespoke demolition crawler excavator – the R 960 Super Mass Excavation (SME) – will also be in attendance. This machine is equipped with an undercarriage from the next class size up, heavy-duty tracks, oversized cylinders, heavy-duty boom and stick, increased engine HP and an optimised hydraulic system for operating with heavy-duty attachments. Liebherr said a full demolition specification, including a number of protective components and a specially designed heavy-duty stick, makes the machine unique. VOLVO dealer SMT GB will be showing off new machines and inviting operators to compete in the British heats of the European Operators Club Competition. On display will be the new L260H wheel loader. The machine can load 26 tons in just two passes and is said to be 15% more productive than its predecessor thanks to the intelligently designed wheelbase and optimised weight distribution of the front frame and lifting arm system. Also being shown for the first time at Hillhead will be the new EW240E material handler, which has been designed for the waste and recycling industries. It has a reach of more than 11 metres and new features including a dedicated upper structure and reinforced undercarriage. Other stand highlights include the ECR355E short-swing radius excavator and the EWR170E short swing wheeled excavators. 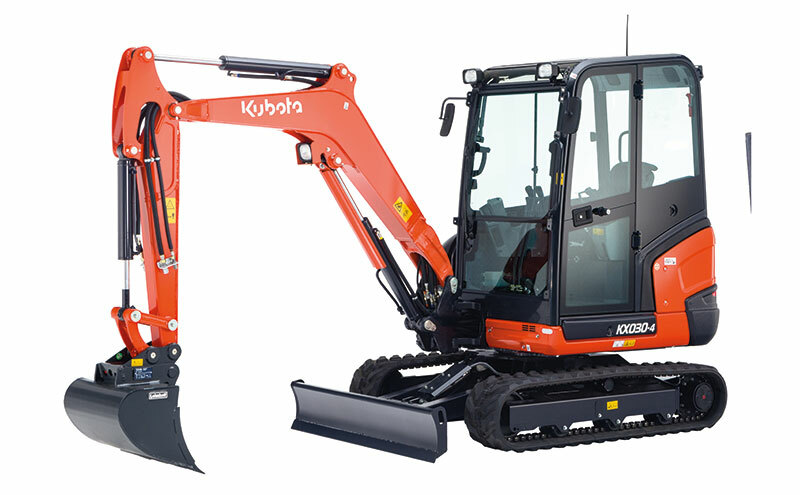 KUBOTA’S recently-launched KX030-4 mini-excavator will lead the manufacturer’s line-up. The machine has two hydraulic variable pumps, along with a gear pump, which Kubota said allows “smooth, synchronised” digging and dozing operations for improved output and productivity. A large flat floor space, full suspension seat and Kubota’s ergonomic control panel come as standard. Representatives from telematics specialist Trakm8 will be on the Kubota stand to provide fleet efficiency and security advice. Kubota UK has a strategic alliance with Trakm8. FINNING UK & Ireland will be in town with the new Cat 320 next generation excavator. 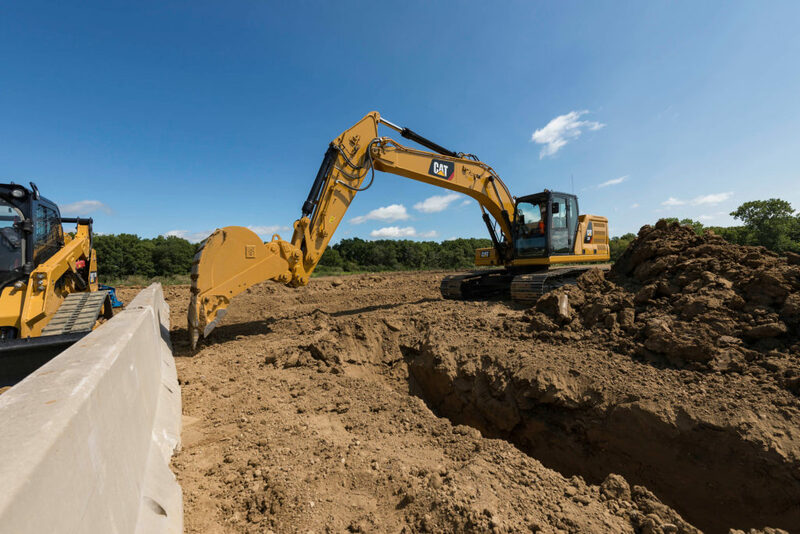 The next generation excavators are described as Caterpillar’s most advanced machines yet, with the integrated technology said to provide 45% higher productivity. The Cat 320 has smart engine controls the manufacturer said can reduce fuel usage by up to 25%. The Finning stand will also feature a Cat D6T LGCP 3D dozer and 745 3-axle articulated truck. Finning’s technology partner SITECH UK & Ireland will be on hand to demonstrate its Trimble 2D and 3D grade control software, alongside RedBird’s aerial survey drones. 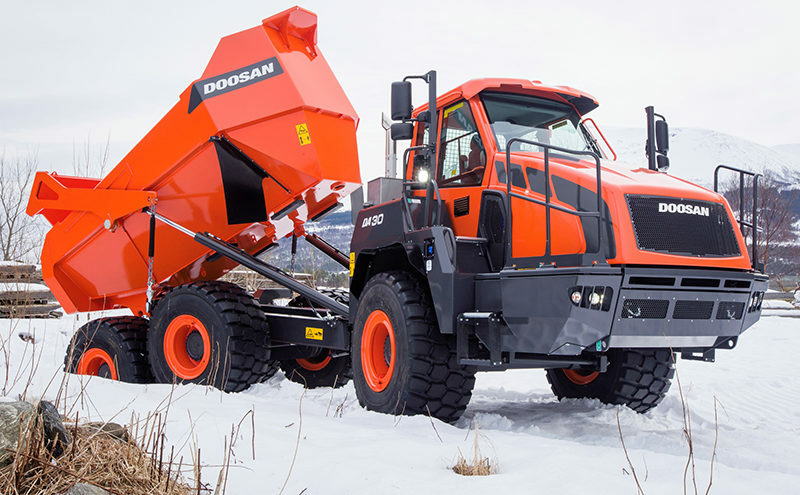 DOOSAN will mark 40 years of construction equipment by showing off the manufacturer’s latest excavators, wheel loaders and articulated dump trucks. 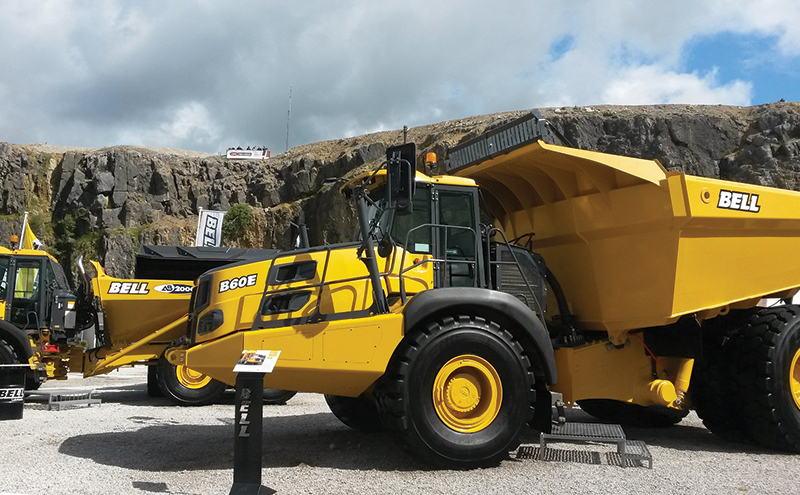 Hillhead will see the UK launch of a new version of the company’s DA30 30-tonne ADT and new features in the large wheel loaders. The changes in the DA30 ADT model are signified by a new colour scheme that aligns the machines with other products in the Doosan Heavy range. Doosan said most of the changes are aimed at enhancing operator comfort and controllability, with additional chan0ges in the driveline and electrical systems. New features on all six large Doosan wheel loaders are aimed at increased safety and visibility, including a new handrail installed around the cab roof with three holding points, allowing operators to move safely all around the cab to clean windows and perform other tasks. 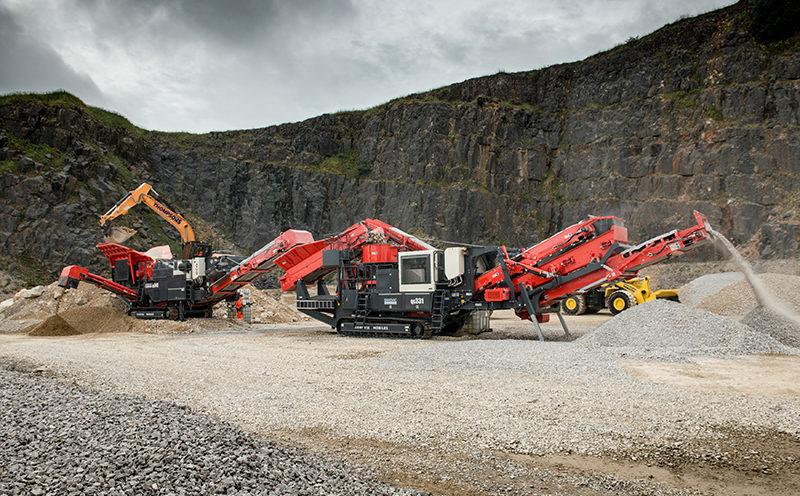 SANDVIK will highlight the “total solutions nature” of its mobile screening and crushing machines. The manufacturer said a number of global product launches are planned, including the QE342 screener and QH332 DDHS Hydrocone crusher. Visitors will get to see a ‘virtual reality’ presentation and walk through of the new QH332 with double-deck hanging screen. Other products being shown include the QJ341 jaw crusher and QJ241 compact jaw crusher. Demonstrations of equipment will be held in front of the stand. ANOTHER business celebrating its 40th birthday is attachments specialist Miller UK. The manufacturer will reveal its next generation, hydraulic compact quick couplers, which are suitable for excavators from 1 to 7 tonnes. Visitors will also get the chance to see the latest PowerLatch tilt coupler, quarry spec buckets and live demonstrations of the new Miller GTS compact quick coupler. 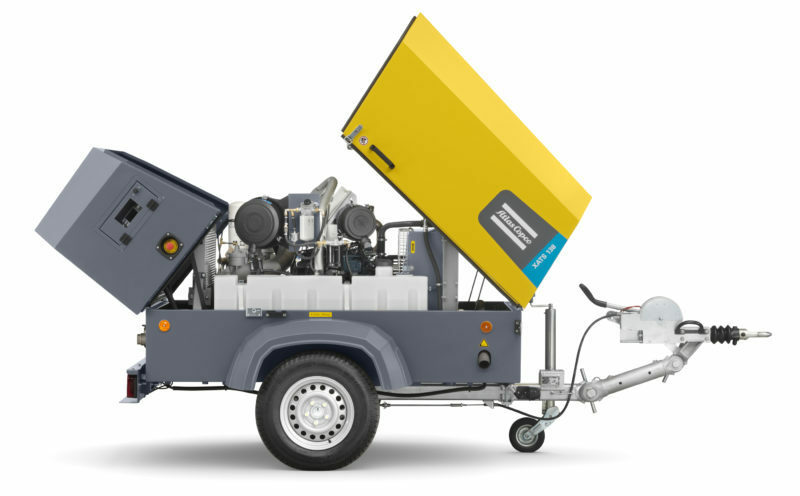 ATLAS Copco will showcase its generators, portable compressors, pumps, light towers, breakers and hand-held hammers. Several generator ranges will be on show including iP generators, QAS series and QES generators. The latter is described as providing a constant source of power in even the harshest weather conditions. 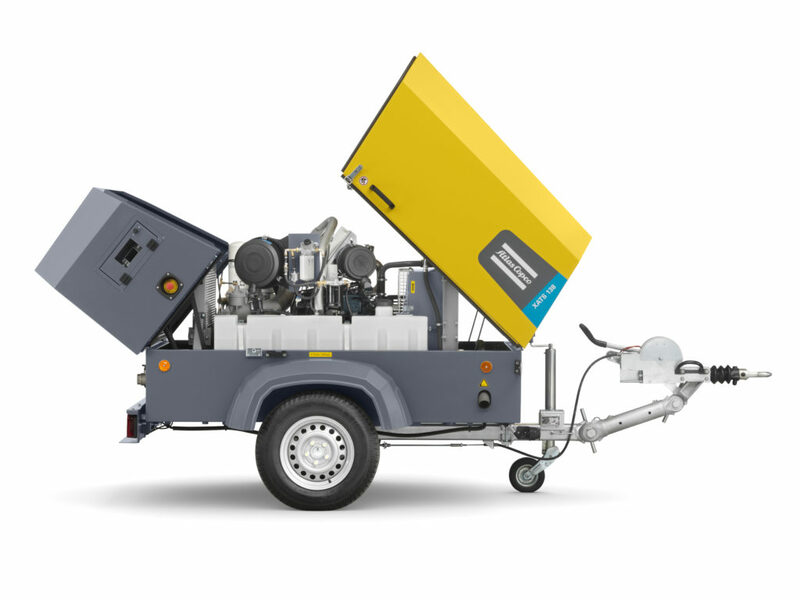 Portable compressors will also feature on the stand, with models from Atlas Copco’s XAS range on show as well as the XATS 138. This compressor combines Atlas Copco’s PACE technology with the HardHat polyethylene canopy. Visitors will have the chance to see the PAS open frame diesel-driven centrifugal dewatering pump range, designed for multiple applications from dewatering on construction and mining sites to solids removal and drainage. 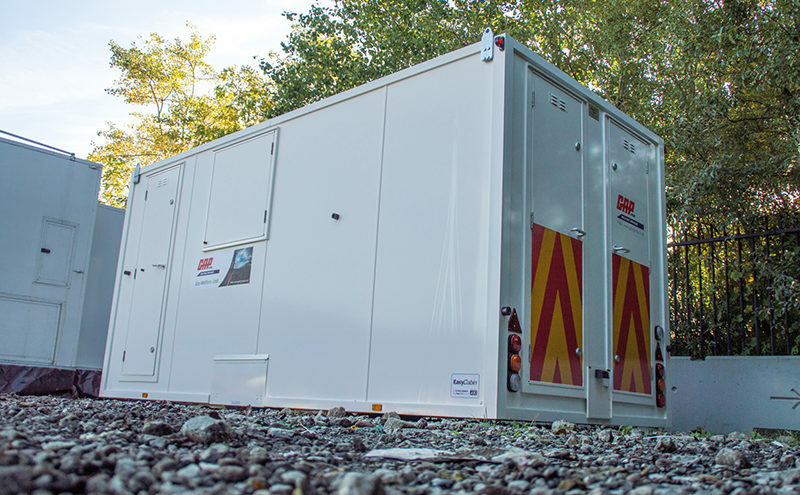 GLASGOW-headquartered GAP Hire Solutions will have a range of products on display including a 16ft Autosmart eco welfare unit (pictured above) from AJC Easycabin. The welfare unit is said to include numerous environmentally-friendly features to reduce emissions, maintenance, fuel consumption, generator hours and noise pollution. The GAP line-up will also include a 9-tonne dumper, HAMM 138 roller and Kubota KX080-4a. 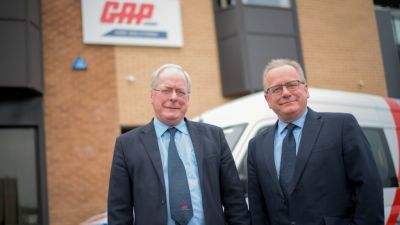 Other products being demonstrated will include satellite solutions from GAP’s supplier Clarus. Ulrich Attachments will be launching its new compact crusher range. 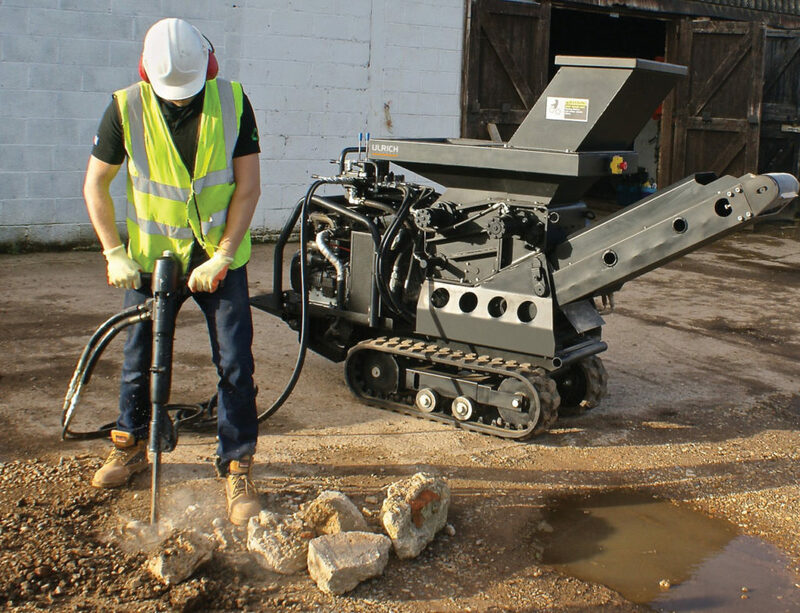 The Combo and Micro crushers have been described as being specifically designed to provide a “convenient, cost-effective” on-site recycling solution. Ulrich said the models have been created to work productively on confined sites. With a 22hp diesel engine, the Ulrich Combo machine has an output of six to eight tonnes per hour. The Ulrich Micro crusher has its own hydraulic powerpack system which runs from an 18 hp engine. 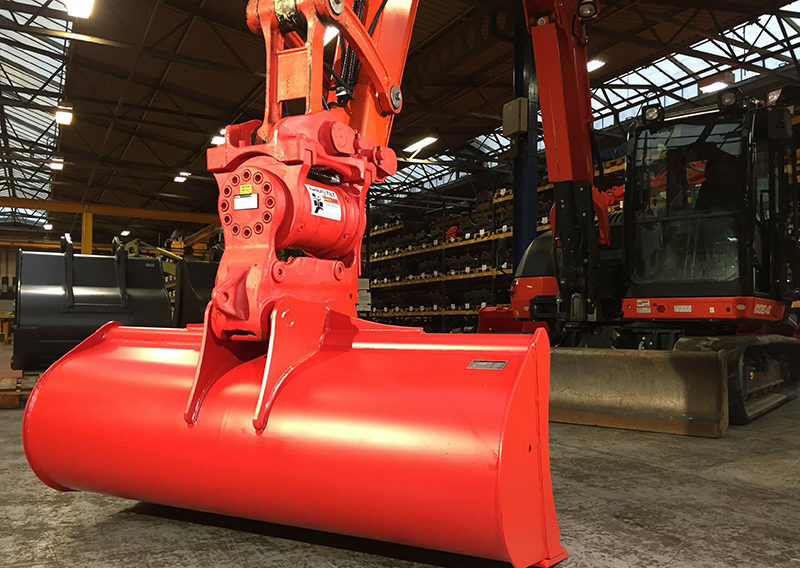 Worsley Plant say they will be announcing new product lines at Hillhead to add to the firm’s family of hydraulic attachments. Visitors will also be able to see equipment working on the Lehnhoff Variolock Quickcoupler System, changing between different tools in just 15 seconds. Alongside the new products, Worsley will be showcasing crushing and screening buckets from Remu and MB, and Rotar demolition attachments including grabs, shears and pulverisers. CALOR plans to use Hillhead 2018 to highlight how asphalt plants can cut costs and carbon emissions with the help of liquefied natural gas (LNG). A colourless, odourless liquid fuel, LNG is created by cooling natural gas to a temperature of around -162°C. When cooled to this temperature, the gas liquefies and reduces in volume too. 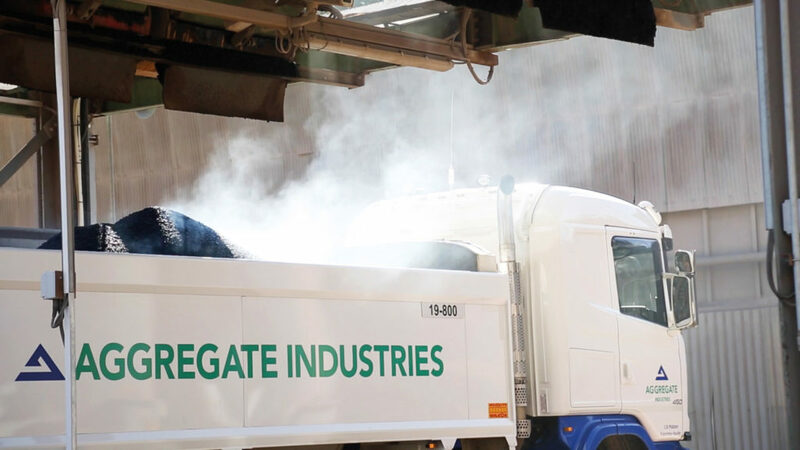 Calor said sites such as Aggregate Industries’ Colemans Quarry have already made the switch to LNG, cutting fuel costs while reducing CO2 emissions by 17%. Bell Equipment will be showcasing the evolved E series articulated dump trucks, which they say includes a machine for every application. The line-up includes the latest addition to the range: the compact B20E. 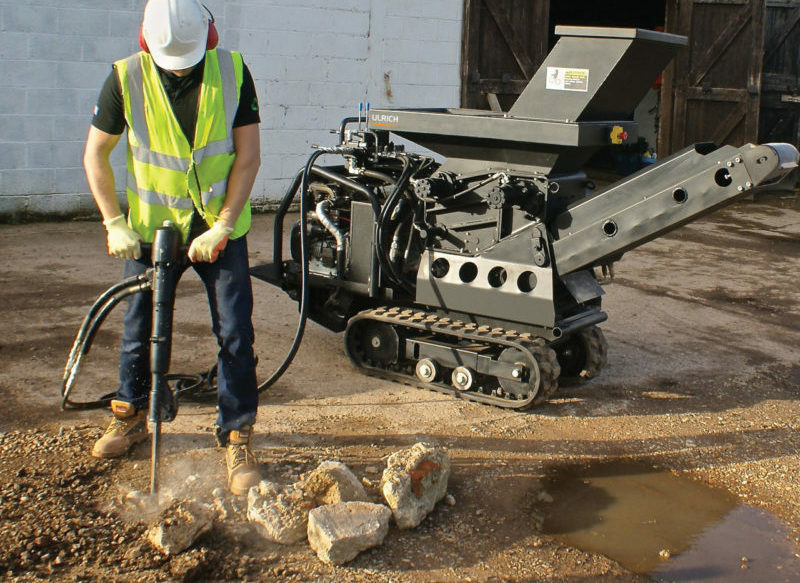 Bell said the machine’s ability to manoeuvre easily within small spaces, and its low ground pressure enabling it to operate in muddy or sandy conditions, has made it much sought after in industries such as housebuilding and renewable energy. At the other end of the spectrum, the “colossal” B60E can move large volumes of materials in all weather conditions. The B20E, B30E, B45E and B60E will all be on display. 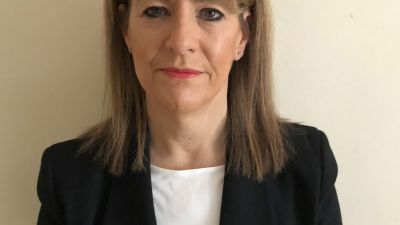 Case has promised a new-look stand at Hillhead this year, splitting it into two main zones – one for quarrying equipment and one for road building solutions. Static displays will include models from the latest Case G-Series wheel loader range, the largest D-Series excavator and graders, dozers, backhoe loaders, mini skid steers and mini excavators. Machines will also be feature in the demonstration area. The UK heat of the Rodeo Challenge will take place during the show, while the Case simulator will offer visitors the opportunity to experience operating a machine. Making its UK show debut will be Case’s CX750 D-Series excavator. 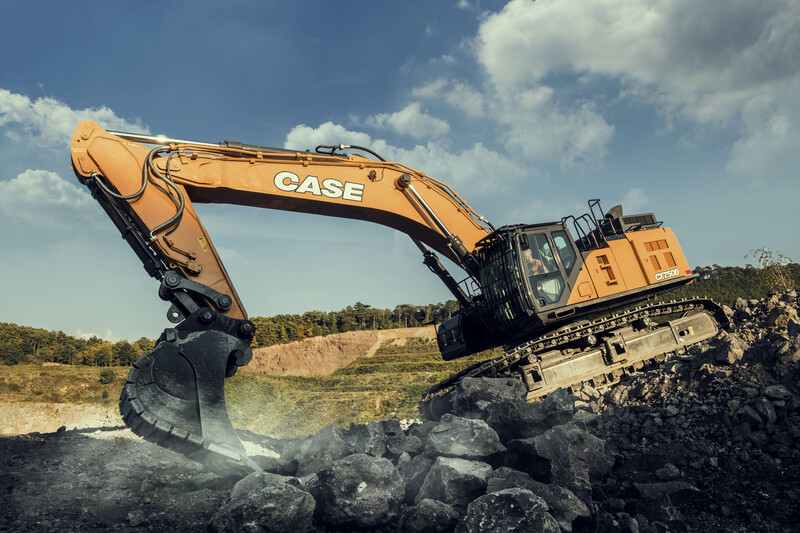 The largest machine in the manufacturer’s excavator range, Case said it delivers best-in-class productivity and operates at 512 horsepower with up to 366 kN of bucket digging force.